They say that two’s company, and three’s a crowd. But if, according to the CDC, even two people have confirmed cases of E. coli — that’s an outbreak! Similar to its cousin, Cyclospora, E. coli lives in the digestive tracts of people who ingest it (through water or food). It is too small to be seen by the naked eye but is big enough to cause some serious health issues. Most types of E. coli are pretty harmless, but this bacterium should not be taken lightly, as it can cause severe damage to your body. Similarly, Cyclospora is spread by people ingesting food or water contaminated with feces. Yeah, you read that right. Super gross. So, here are the symptoms you need to look out for and what to do in the case of an outbreak in your area. Cyclospora cayetanensis — a small parasite (composed of one cell) that’s too small to be seen without a microscope, yet big enough to cause an intestinal infection called cyclosporiasis. It’s spread by ingesting food or water contaminated with feces. 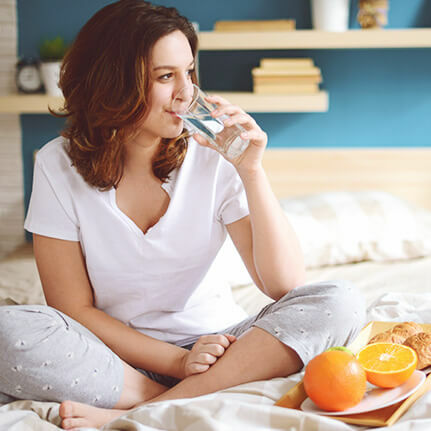 It takes one week for symptoms to show up, many of which include diarrhea, loss of appetite, weight loss, stomach cramps/pain, bloating, increased gas, nausea, and fatigue. Vomiting, body aches, headache, fever, and other flu-like symptoms are also possible. If not treated, the illness may last from a few days to a month or longer. Escherichia coli (E. coli) — a bacterium that lives in the digestive tracts of healthy people and animals. Most types of E. coli are pretty harmless, but this bacterium should not be taken lightly. The CDC estimates that 83% of E. coli infections are food and waterborne in origin. It’s also typically found in the intestines of agricultural animals, it can come from contact with an infected animal, human waste, or contaminated raw fruits and veggies, and can get into your meat during processing if the meat is not cooked at exactly 160°F (71°C). Additionally, it can get in your water if it’s not properly treated at your local water treatment facility. Accidentally swallowing contaminated water in swimming pools, lakes, and rivers may also infect the human body. Typically found in the intestines of agricultural animals, it can come from contact with an infected animal, human waste, or contaminated raw fruits and veggies, and can get into your meat during processing if the meat is not cooked at exactly 160°F (71°C). For many, E. coli can be fought by your immune system without any sign of an infection. If symptoms are present, like diarrhea, stomach cramps, nausea, and vomiting, they typically show up 3-4 days after the initial infection. When E. coli makes a serious impact on your endocrine system or your kidneys, symptoms will vary from pale skin to fatigue, fever, bruising, and an inability to urinate. To combat E. coli, the use of antibiotics is ill-advised, as the bacteria creates a toxin within its shell and, when broken through the use of antibiotics, releases that toxin into the bloodstream, spreading the infection at an alarming rate. When dealing with Cyclospora, your doctor will have you submit a stool sample. If tested positive, they’ll prescribe you antibiotics to treat the bacteria. The only real way to prevent Cyclospora/E. coli in the first place is to avoid food or water that might have been contaminated with stool. First things first — both of these bacteria can be found in improperly-treated water. If you’re drinking water from your municipality, be sure to check your water quality reports and get to know the results. If you’re feeling uneasy about the amount of chlorine/chloramines used to treat the water, or are nervous about Cyclospora/E. 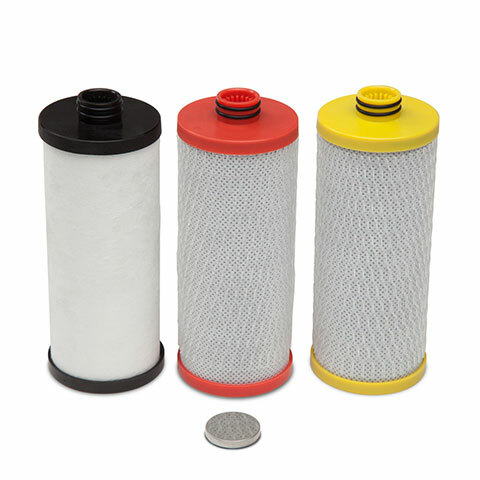 coli, consider looking into a Sterilight UV water filter. Although our government and food facilities do all they can to provide us with the cleanest water possible, E. coli and Cyclospora will always find its way into our lives. For those using well water, it’s important to always test your own well for different contaminants that might be present. Well water can be infected when bacteria from agricultural use accumulates and seeps into the runoff. 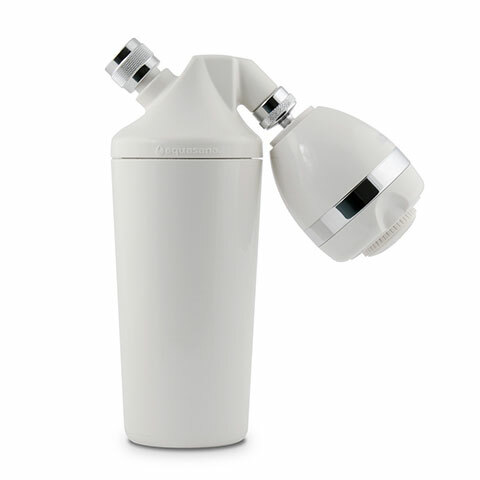 For a home filtration option to keep E. coli and Cyclospora at bay, as well as other contaminants, you can install a whole home water filter with a UV light. 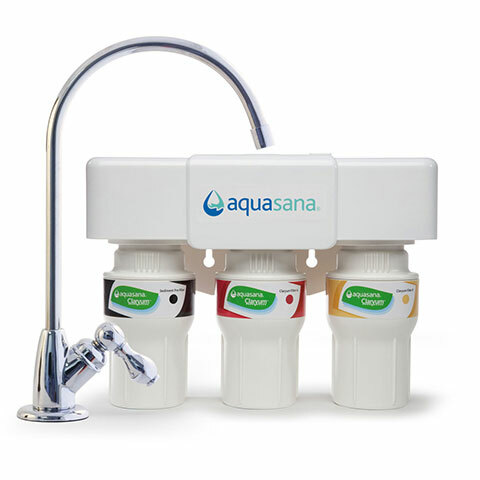 The Aquasana Rhino Whole House Well Water Filter comes with an optional UV Sterilight filtration system that kills 99.99% of viruses, bacteria like E. coli, and chlorine resistant cysts like cryptosporidium and giardia.